Place the chicken breasts in a zip top bag with Sweetwater Spice Smoked Habanero BBQ Brine. Brine for one hour. Meanwhile, fill a Lodge Logic 7 Quart Dutch Oven about 1/3 full with vegetable oil. Place on the SIZZLE ZONE side burner of the Napoleon Prestige P500RSIB. Fire up the burner and allow the oil to preheat to 350ºF-400ºF. Use an instant read thermometer to monitor the temperature. 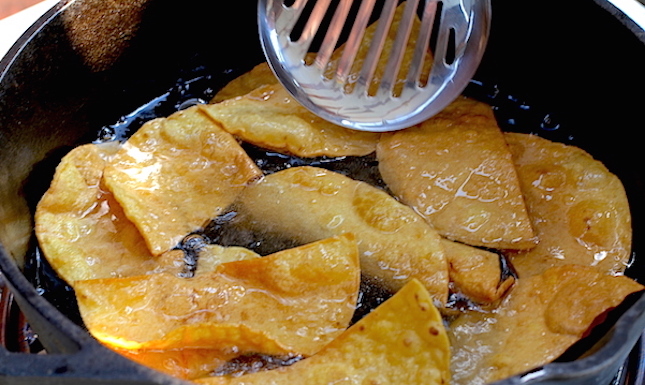 When the oil comes to temperature, fry the tortillas in batches, being careful not to overcrowd the pot. Fry until just golden then remove from the oil with a slotted spoon and transfer to a paper towel lined plate or foil pan. Season with salt. Preheat the main cooking chamber of the Napoleon Prestige P500RSIB (medium-high heat). Remove the chicken from the brine. Use a paper towel to remove excess moisture. Season with Cattleman’s Grill 8 Second Ride Carne Asada Seasoning. 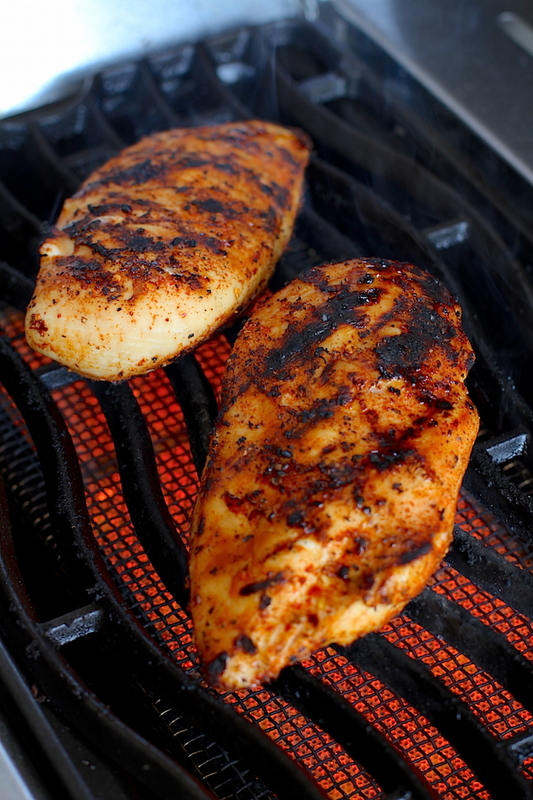 Grill the chicken until the internal temperature reaches 160ºF. Remove from cooker. Rest 5 minutes, then dice. While the chicken rests, make the cheese sauce. Place the cream, pickled jalapeños, carne asada seasoning and hot sauce in a Lodge Logic 12” Cast Iron Skillet over medium heat. Whisk the ingredients together and bring to a simmer. Toss cornstarch in the grated cheese. 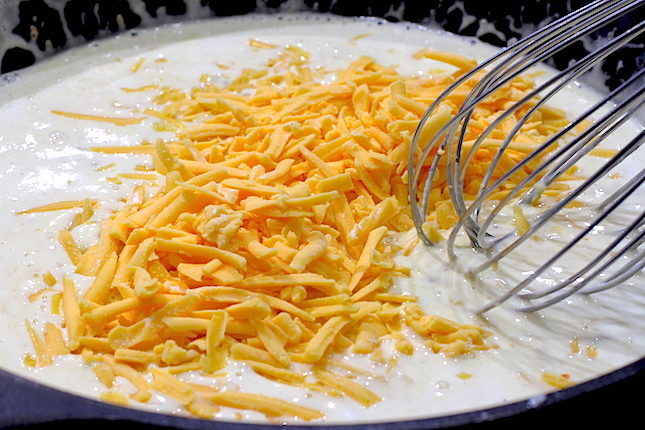 When the cream mixture comes to a simmer add the cheese a handful at a time, whisking to incorporate. Hold warm over low heat. Split the tortilla chips between the two cedar grilling planks. Sprinkle the monterey jack over the chips. Add chicken on top. Place the planks on one side of the cooker, with the burners below the planks on low. Turn the burners on the opposite side on high. Grill until the cheese has melted, and begins to brown. Remove the planks from the cooker. Immediately top with cilantro, radish slices and cheese sauce. Serve warm. We love grilling, that’s no secret. We also love nachos. 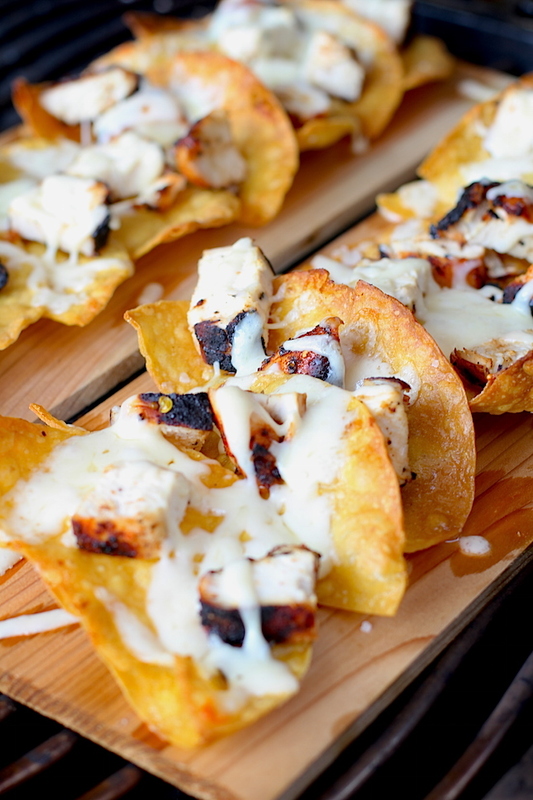 So how could we not try grilling nachos? Turns out, grilled nachos are pretty dang good! Especially when you take the time to fry your own chips, a task made easy with the Napoleon Prestige P500RSIB SIZZLE ZONE side burner. Our cheese sauce isn’t far from the nacho cheese you occasionally indulge in at the ballpark or movie theatre, but it’s made from scratch (so you actually know what’s in it) and it’s slightly sweeter with a little spice, thanks to those delicious bread and butter jalapeños. The cedar plank is what really sets these apart from nachos made in your oven or microwave. It imparts an enjoyable, subtle smokey wood flavor.